Posted 15 November 2018 . Five Christmas concerts are set to bring the joy of the festive season to Sydney and its villages. Kicking off with the first Sydney Christmas Children’s Concert in Prince Alfred Park, the concerts are part of the City of Sydney’s 30-day program of festivities across the city. 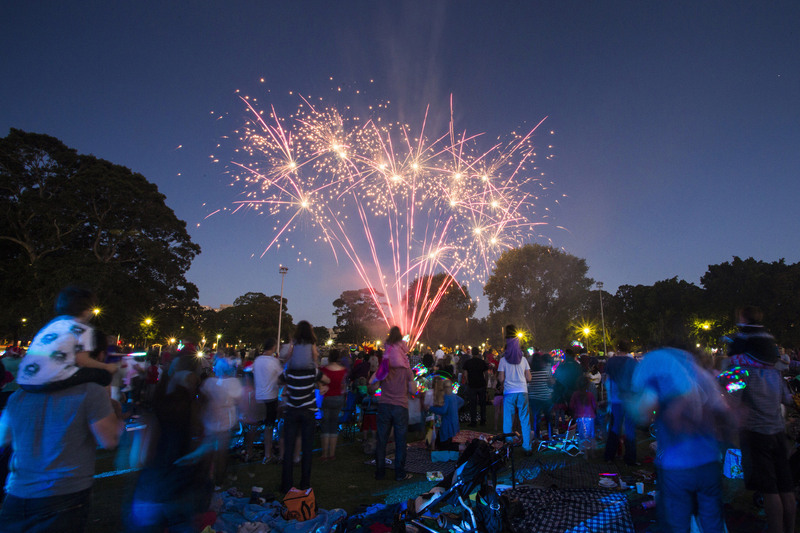 Lord Mayor Clover Moore said the City’s celebrations grow in popularity year on year, so they are being extended across the inner city to allow more people to enjoy them. “Sydney’s long summer evenings give families a chance to enjoy the many festive events and activities in the city and its villages,” the Lord Mayor said. “We want as many people as possible to be part of the celebrations. As well as our Christmas in the City event on Saturday 24 November, we’re putting on five wonderful concerts so all residents and visitors can celebrate in their own neighbourhoods across the city. 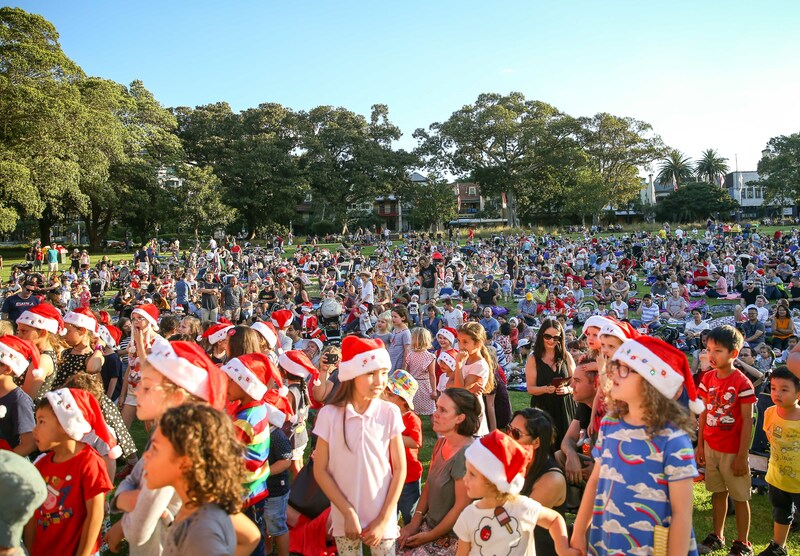 “This includes the new Sydney Children’s Christmas Concert in our beautiful Prince Alfred Park, in Surry Hills, our first festival celebrations in the Green Square Library and Plaza and Matron Ruby Grant Park, and of course our much-loved concerts in three of our villages – Rosebery, Rushcutters Bay and Alexandria. 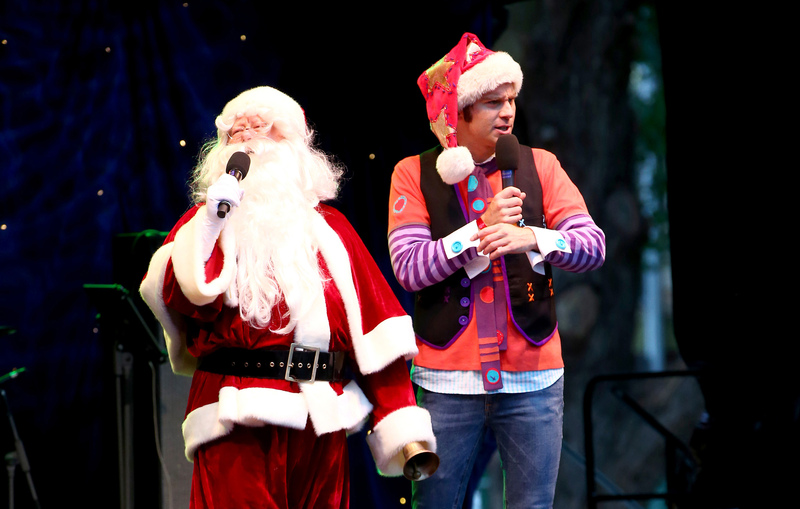 Sydney Christmas Children’s Concert will feature a line-up of top children’s entertainers including Jimmy Giggle, Justine Clarke, Ben and Holly’s Little Kingdom, The Listies and SplashDance. Children can take part in activities like arts and craft, table tennis and giant Jenga games with Santa’s elves. Stockings packed with goodies will be on sale for $5 with all proceeds going to our charity partner Variety – The Children’s Charity. Santa will make a special guest appearance and the night will culminate with a fireworks display. 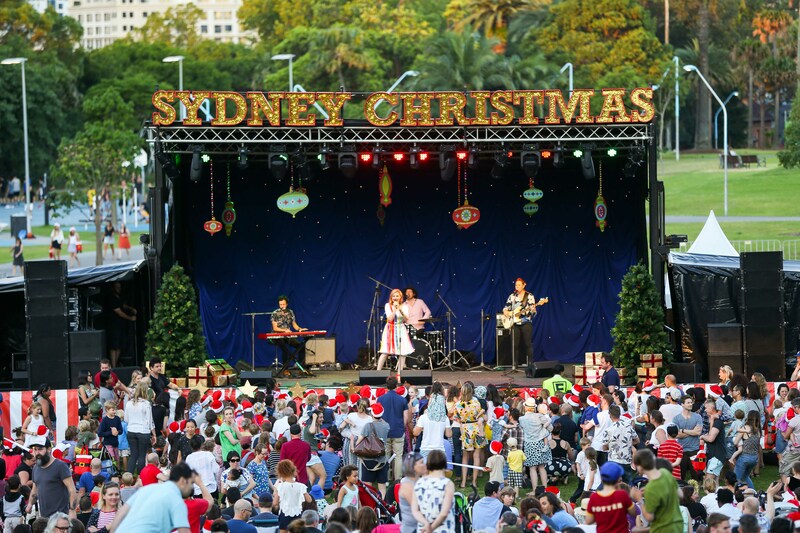 For the first time, a special corner of Sydney will come alive with Christmas in Green Square. There will be performances by Sam Moran, Sydney Philharmonia Choir, SplashDance, Ally Boom Boom & The Cool Bananas, DJ Peter Baecker and the Glorious Sousaphonics. Kids can join in fun activities and some of Sydney’s best food trucks will be offering a selection of food, coffee and gelato. Santa will stop by for a visit and the event will close with a fireworks finale. A host of top children’s entertainers will perform at the concerts including The Listies, SplashDance, Justine Clarke, Jimmy Giggle, Bunny Racket and Sam Moran. Ensuring the adults don’t miss out, there will also be performances by Hot Potato Band, Thirsty Merc and cover band Suite Az. Each of the concerts will include food trucks, gelato stalls and a glittering fireworks finale. Variety – The Children’s Charity will sell $5 fund-raising Santa stockings filled with goodies. Local community groups will also celebrate Christmas with concerts and markets throughout November and December. These include Christmas in Pyrmont (Sunday 25 November), live nativity and carol singing in Ultimo (Friday 14 December) and Glebe Artisans Markets (Saturday 15 December). The City’s 30 days of celebrations start with Christmas in the City on Saturday 24 November. The inner city will be transformed into a festive playground for tens of thousands of visitors, with pop-up stages featuring kids’ entertainers, free activities and late night shopping at major retailers. From 24 November through to Christmas Eve, Pitt Street Mall will become a Christmas wonderland, with a canopy of 94,000 sparkling lights and choirs from all around Sydney performing on Thursday evenings and weekends. For media inquiries or images, contact Elaine Kelly.